Pumpkin is everything you could want from an upscale BYOB restaurant – the food is delicious and the restaurant is cozy, ideal for parties of 2-4. While their menu is smaller, it’s constantly changing due to their seasonal farm-to-table selections. Be sure to stop by on Sundays when they also offer a 4 course Prix Fixe menu for $40. 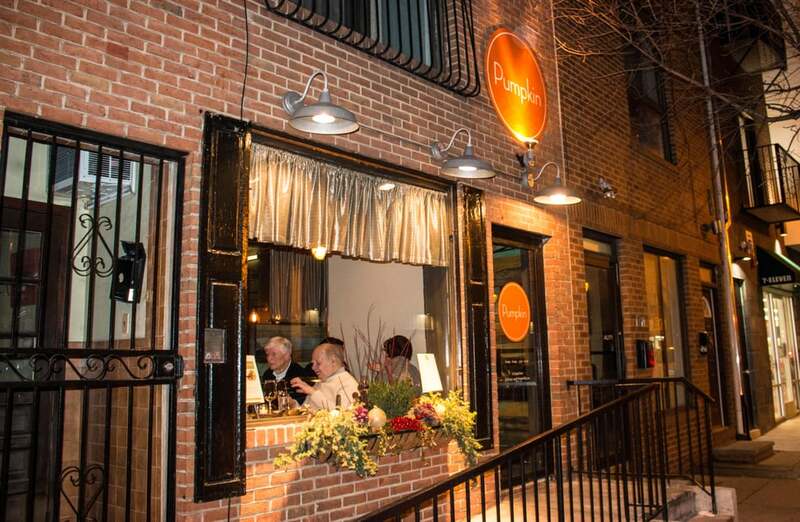 Pumpkin is open for dinner Tuesday-Sunday and the last seating is 10 pm. Be aware that this restaurant is CASH ONLY. Reservations can easily be made on Opentable. Pumpkin is absolutely a great spot to celebrate a special occasion or have a date. Compared to many other BYOB’s in the city, Pumpkin is nice and quiet, which helps to add to that special date-night feel. Portions are plated a la carte so my boyfriend and I typically each order our own appetizer and often a side to share with our entrees. Everything on the menu is really exquisite. There is a great deal of French influence in the delicate flavors and artful plating of the food. Entrees are priced around $30 but the food is really top-notch. Some of my favorite dishes have included Dry-Aged NY Strip Steak, Grilled Octopus, Scallops, and Risotto. I will admit the portions for the 4 course Sunday tasting menu are smaller, but it was nice to try bites of different dishes here. Overall I think its a nice option if you are an adventurous foodie. The service is top notch and I truly look forward to my next visit here on a special occasion.